If you are searching for something equine to do this weekend, head to northeast Roanoke County/Botetourt County for a trio of events clustered in the Hollins/Daleville area. Start your day at the Hollins University Fall Horse Show. The hunters/jumper show runs all weekend, starting at 8:30 a.m. on Saturday. Jeanie Smith (USEF “R”) of Tyron, North Carolina, will judge. 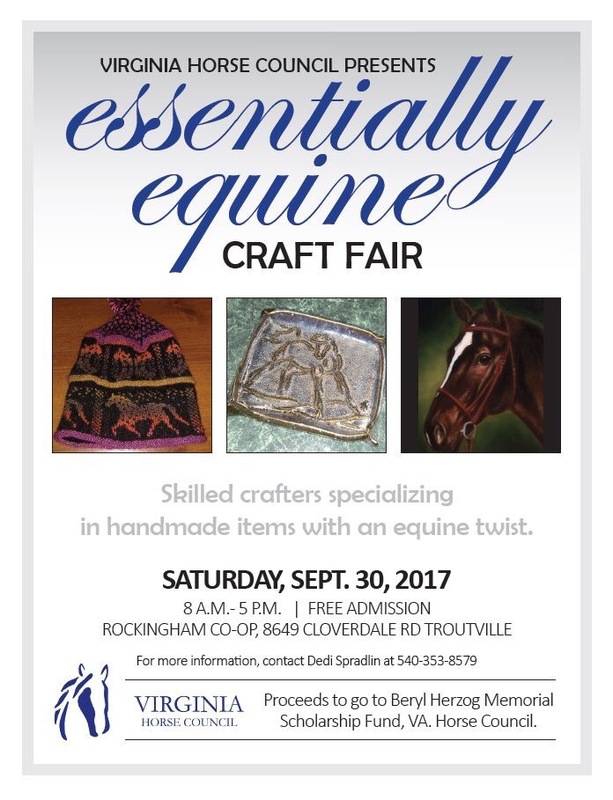 Then be sure to make some time to drive over to Rockingham Co-op on Route 220 South to the Virginia Horse Council’s Essentially Equine Craft Fair. The craft fair will feature area artists’ work but with an equestrian twist. It’s a perfect place to get your early Christmas shopping done for all your horse-loving friends, plus get yourself something special, too. It’s only a 10-minute drive from Hollins if you happen to be showing this weekend. The craft sale will be open from 8 a.m. until 5. If you like to barter a bit, Hollins Stockyard has scheduled a tack and horse sale on Saturday. At 11 a.m. tack will be auctioned and can be a great place to pick up riding essentials for less. Horses will follow later that evening at 4 p.m.